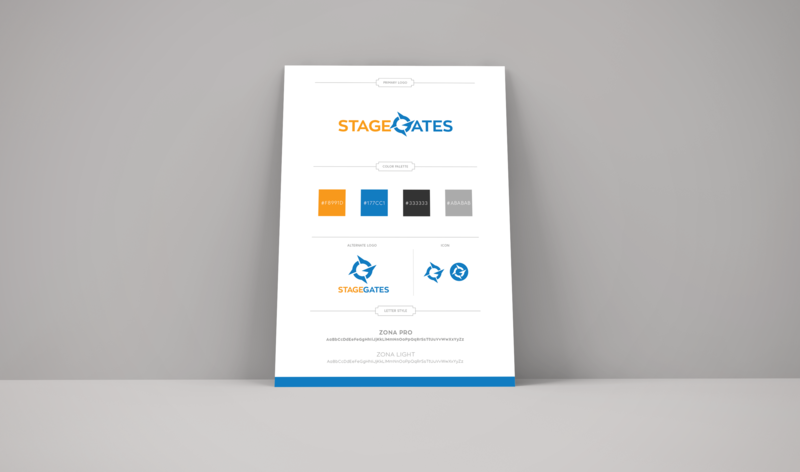 StageGates is a startup created by Steve Hamm and Benjamin Gage. They are solving the problem of slow and low ratio success rates of university commercialization due to inefficient curation processes & limited navigational tools to illustrate pathways to market & capital. Majority of innovations are not getting curated, vetted, and processed properly. StageGates is re-setting the benchmark for university innovation through a proprietary curation and navigational technology tool by utilizing best in class support. The platform ultimately will enable innovators to efficiently reach commercialization through advisor, investor and customer connectivity. I was tasked with creating their brand using the key-terms navigation, direction and ease-of-use, thus I went with the compass symbol. After their logo, I created a PowerPoint template for them and developed a Pitch Deck with their content developer. I am currently working on creating their website.